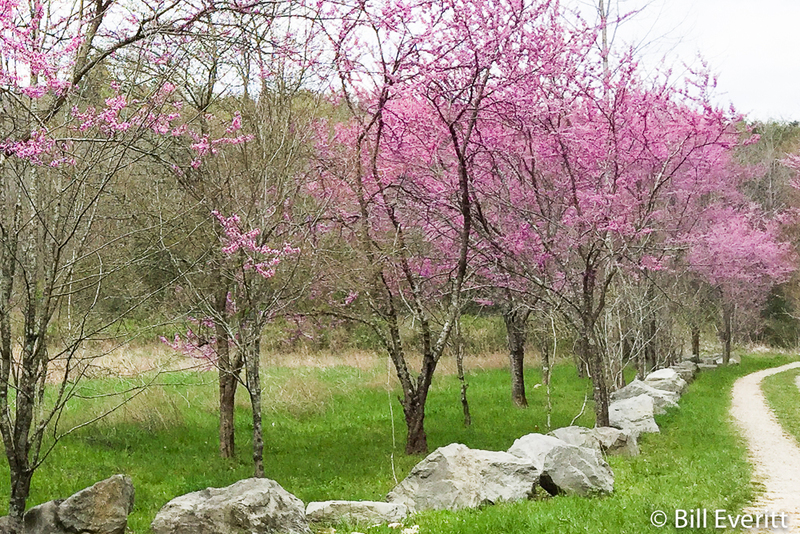 There are two Redbuds: Eastern and Western. Ours are Eastern Redbuds, shortened here to just ‘Redbuds’. 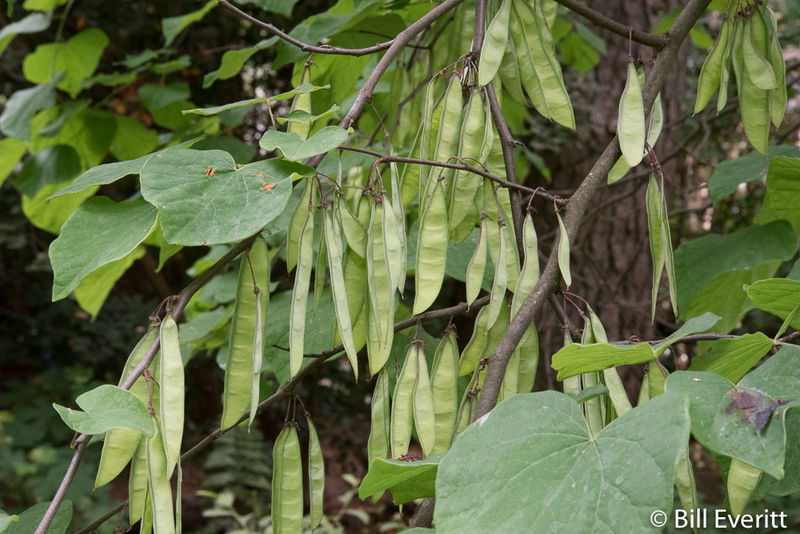 In the wild, the Redbud is a native and is a frequent understory tree in mixed forests. It’s deciduous, and a member of the pea family. It has pink flowers that cover the twigs in spring. The fruit, which appears in early spring, looks like a pea.